There are unknowns, to be certain. There are questions about engines. Questions about tires. Questions about who will make up the starting field, how the racing will play out, how many people will even show up to watch. 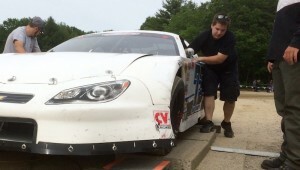 So, as the PASS North Series gets ready to invade New Hampshire Motor Speedway this weekend for the inaugural AIM Recycling USA 60 on the 1.058-mile oval typically used to housing some 100,000 race fans during NASCAR weekends, there’s as much wonder as there is excitement among Super Late Model teams in the region. The holiday weekend schedule begins with a practice day on Saturday followed by qualifying and the AIM 60 on Sunday afternoon. Qualifying begins at noon, and the North East Mini Stock Tour and Sportsman divisions will also compete in feature events. But Doiron, one of a handful of drivers with NHMS experience after participating in the first ACT Late Model Tour race there in 2009, sees similarities between that event and this weekend’s inaugural PASS event at the track. “I went to the (PASS) test and watched,” Doiron said. “It reminded me a lot of that first ACT race. They did the five-lap mock races in practice, and PASS did the same thing, and it was really tough to pass in both of them. But then they came around for the race, and ACT is one of the best races over there on a race weekend now. But more than being just a PASS North Series points race, it’s also a PASS National Series event — and entries announced by the series include a pair of Kyle Busch Motorsports cars driven by Christopher Bell and Kaz Grala. One of the winningest drivers in track history with 10 wins, Ted Christopher, of Plainville, Conn., is also entered in a Scott Mulkern-owned car, and Eddie MacDonald is expected to compete, as well. Christopher has five career wins in both Whelen Modified Tour and K&N Pro Series races, while MacDonald has won two ACT Invitationals and three K&N Pro Series races, too. Reigning PASS North champion DJ Shaw of Center Conway, N.H., is coming off a win in the series’ most recent event at Lee USA Speedway last weekend. He has five career K&N Pro Series starts at NHMS, with a career-best finish of 13th there. “It’s always good to go into any race with momentum,” Shaw said. “I’m optimistic about it. I’m looking forward to it. It’s a lot of fun to race there in anything. It’s going to be cool to be a part of the first race with Super Late Models there, and hopefully we have a good showing. If there’s one benefit for Super Late Model teams that Late Model teams didn’t have when they first went to NHMS six years ago, it’s some experience on bigger tracks. Though PASS has never sanctioned a race on a one-mile track, the series has competed on tracks larger than .500-miles like the Nashville Fairgrounds, Lakeland, Fla., North Wilkesboro and Thompson, Conn.
That, says Cassius Clark, should help. “For the majority of us, I don’t think there’s anybody that’s really green and never done anything on a track that’s at least a bit bigger. So I don’t think the learning curve is going to be as steep,” said Clark, of Farmington, Maine. “Maybe for some of those (ACT) guys it was a little different being an invitational deal with guys from Groveton, White Mountain, Oxford and places where it was the only place they’d ever been. Maybe they’d been track champions or run really well at those places, but going from Groveton to Loudon is a big extreme. If the drivers have a certain comfort level on bigger tracks, concerns still remain about the cars and how they will perform. The race consists of a ‘halftime’ break on or around lap 35 to allow teams to change two tires. There are also several different engine combinations available to teams, including crate engines and built ones. Clark, who regularly competes with a crate engine in his No. 77, said he’s bringing a built engine to Loudon. Series regular David Oliver of Standish, Maine, had made changes to his usual crate engine for this race, too. Ultimately, then, it comes down to the racing itself. New Hampshire Motor Speedway has long been known as a place where it’s difficult to pass — in any division, be it the NASCAR Sprint Cup Series or ACT Late Models — and it’s not expected to be much different this weekend. With the high speeds generated by the long straightaways and the flat corners, there are precious few passing opportunities presented to drivers. As always, the trick will be making the most of those opportunities, whether it be driving up off the corners or getting down into them quickly. 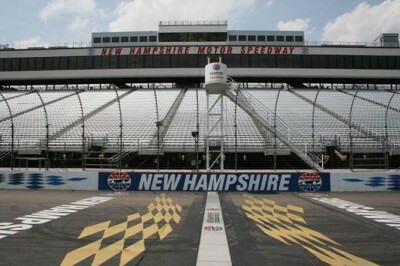 Even the skeptics agree on one thing — it’s important for PASS to be at New England’s marquee stock car racing facility. Though the crowd won’t be the same as one generated by a Sprint Cup Series weekend, Clark is hopeful that the race will still generate interest over the Fourth of July weekend.